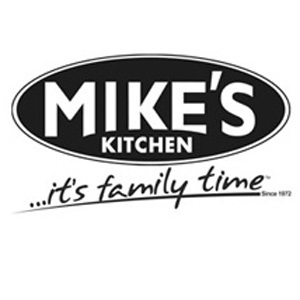 Cape Town - South African family restaurant chain Mike’s Kitchen has been bought by US-based NRD Capital. NRD Capital is expanding its footprint and this is its first acquisition in South Africa and on the African continent. Its headquarters is in Atlanta, Georgia. Another recent acquisition of NRD Capital - its largest investment to date and valued at R4.7bn - was the purchase of the casual-dining chain Ruby Tuesday. “Our focus at NRD Capital is to invest in quality brands and provide strategic and operational expertise to create sustainable value,” Aziz Hashim, founder and managing partner of NRD, said in a statement. “With well-established brands that can be differentiated from their competitors, we are able to identify significant growth opportunities, while taking a long-term view of investing in people, product, and the customer experience." NRD's strategy is to acquire equity within both franchise and non-franchise concepts that offer compelling unit economics and solid opportunities for franchisees. Salim Shermohammed, Mike’s Kitchen’s interim CEO and NRD’s representative in Johannesburg, said he is very pleased with the acquisition by NRD. “This (Mike's Kitchen) is a superb company, which turned 45 years-old recently and this iconic brand embodies everything that NRD seeks when it invests in companies," said Shermohammed. NRD’s entry into South Africa forms part of a long-term strategy. Over the next five years, NRD plans to acquire and develop multiple brands in SA and across the African continent more broadly, creating new jobs and business opportunities, through leveraging the power of franchising. NRD believes that when franchisees and franchisors work together as partners, all parties win. “According to the McKinsey Global Institute, consumer spending in Africa is projected to reach $2.1trn by 2025,” said Shermohammed, “and NRD is in Africa for the long haul – to invest and re-invest in solid franchise businesses”.